I love novelty boutique shops! On Monday while I was walking around Willow Bend shopping mall, I stopped into a little store called Paper Crane. It is mainly a stationary store, but there are gifts available for purchase by occasion. 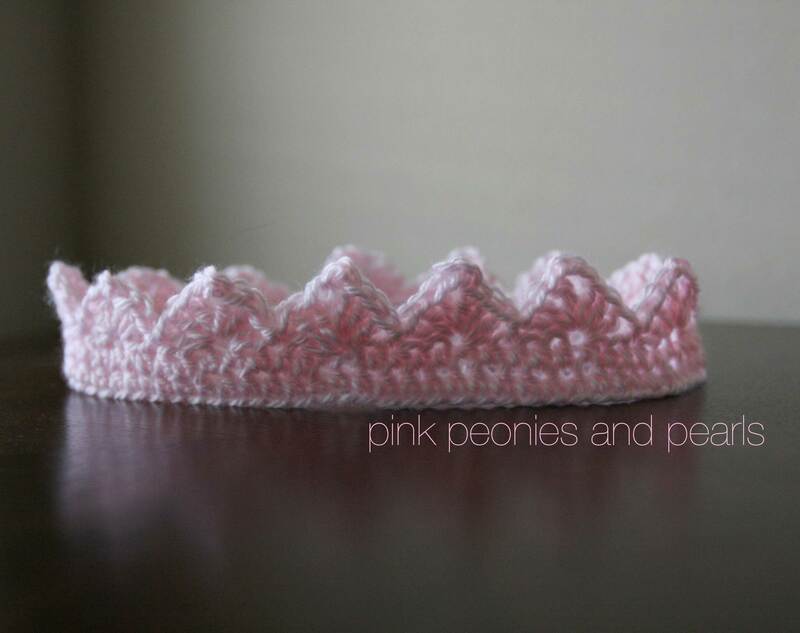 My maternal heart skipped a beat when I saw crochet crowns for babies. They were priced around $17 a piece, but I did not buy one. I knew I could make several for the cost of one. 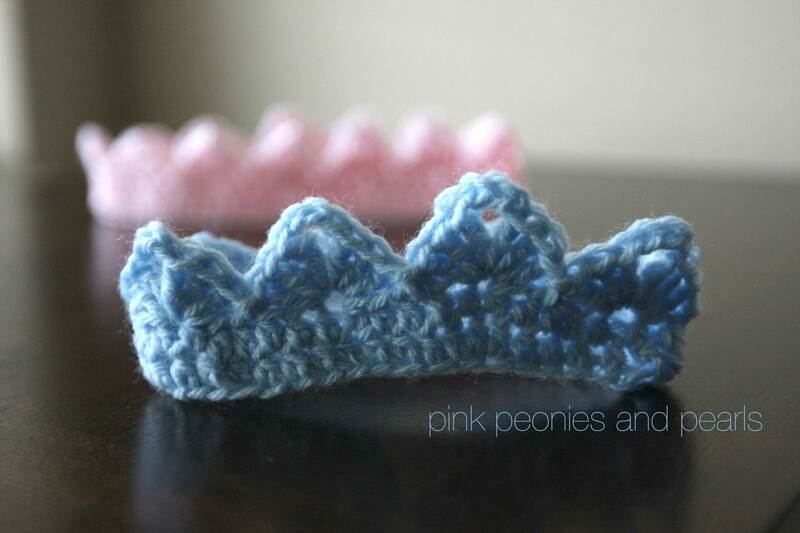 With the help of Clare at www.bobwilson123.org, I crocheted a crown for my new nephew and his soon-to-be big sister. This project takes very little yarn, knowledge of 3 stitches and about 15 to 30 minutes of your time (depends on the size). Clare’s video on You Tube teaches this beauty at a very nice pace. 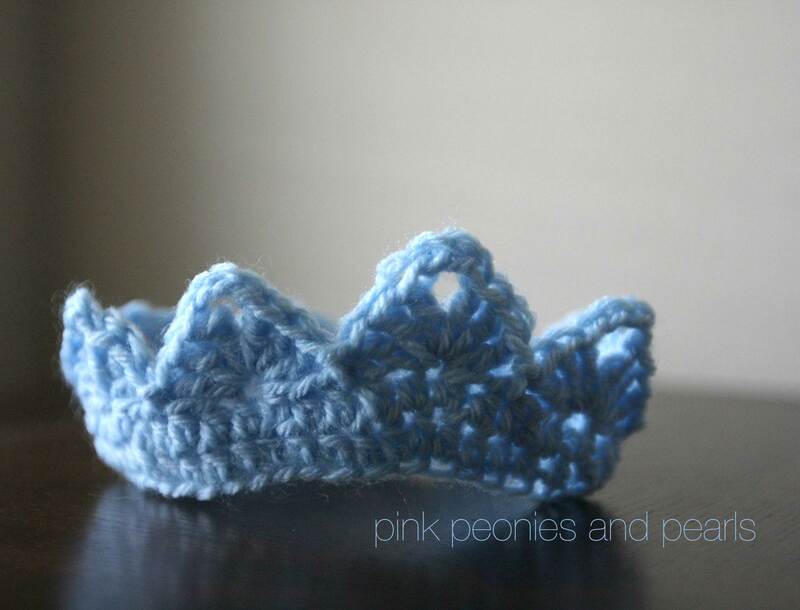 By the second crown, I had the pattern down pat and didn’t need to watch. These would make excellent newborn and toddler photo props. I can’t wait to see Jenny & Mike’s little prince and princess in a photo with these!